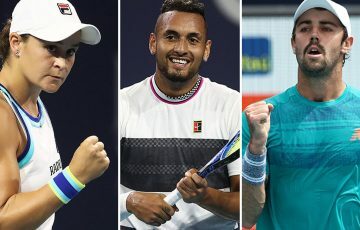 Christmas has come early for former world No.39 Casey Dellacqua (WA) with confirmation today of wildcards into theAustralian Open main draw, as well as lead in events Brisbane International and Moorilla Hobart International. 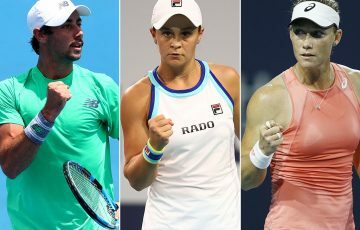 Christmas has come early for former world No.39 Casey Dellacqua with confirmation today of wildcards into the Australian Open main draw, as well as lead-in events Brisbane International and Moorilla Hobart International. 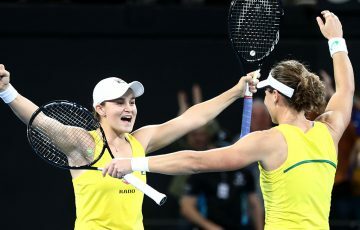 Dellacqua, sidelined for most of 2009 and 2010 due to shoulder and foot injuries – both of which necessitated surgery – started her return to the game earlier this year and quickly collected a Grand Slam title, taking out the mixed doubles championships at Roland Garros in June. Since September Dellacqua has swept through the Pro Tour, enjoying a 30-match winning streak with wins in Cairns, Darwin, Esperance, Kalgoorlie, Traralgon and Bendigo. Her uninterrupted run broke a nine-year record for consecutive wins on the ITF Pro Circuit. “After missing most of 2010 with a foot injury I have spent this year building on my confidence and match practice. 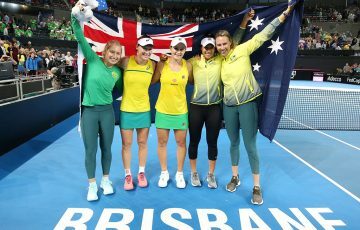 I now finally feel like I am playing some good tennis and with six Pro Tour event wins under my belt I have the confidence I needed going into the summer,” Dellacqua said today. “It is an amazing opportunity to be able to play the Australian Open, Brisbane and Hobart without having to worry about qualifying and it is really going to set me up for the year ahead. “It’s nice to know my summer is set and hopefully I will get a few more wins and gain even more confidence coming into the Australian Open. “Casey’s worked very hard and is now starting to reap the rewards,” Tennis Australia/AIS coach Chris Johnstone said. 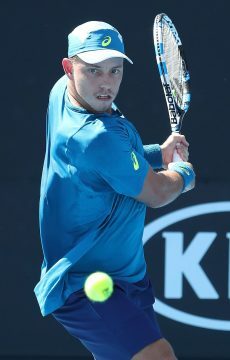 Nineteen-year-old James Duckworth (NSW), a member of the AIS Pro Tour program, has also scored an Australian Open berth on the back of constant improvement during 2011, culminating in a finals appearance at the AO Play-off. 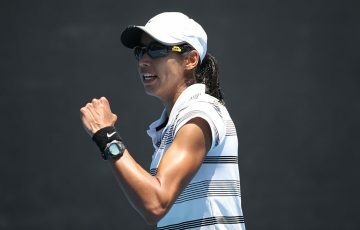 “I was pretty excited when I got the call from Todd [Woodbridge] about the wildcard,” Duckworth said today. “It’s been an amazing year for James, he’s performed consistently the whole way through and improved his ranking by 400 spots down to 260 last month,” said Duckworth’s coach Brent Larkham, Head Coach of the AIS Pro Tour program. “He’s capped off his year with some great results in the play-off and played well against top opponents. “I’d really like to pay tribute to James’ professionalism, which for a young man just starting out on the Pro Tour is exceptional. He’s really leading the way for all the junior players in Australia and it’s great to see him setting such a good example. “His attention to detail in everything he does, his preparation and planning, he always gives himself the best opportunity to perform. Duckworth, along with other members of the AIS Pro Tour program, is in a final training block before the summer of tennis starts in earnest. His plans include playing qualifying in Brisbane and Sydney. “Hopefully he’ll notch up some wins and build up some confidence before what will no doubt be one of the biggest moments of his career when he plays at Melbourne Park in January,” Larkham continued.